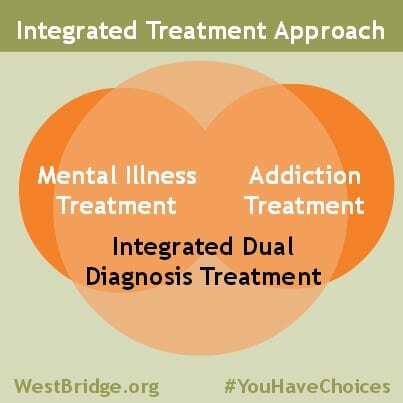 At WestBridge, we are committed to providing optimal care in a truly integrated dual diagnosis treatment program. 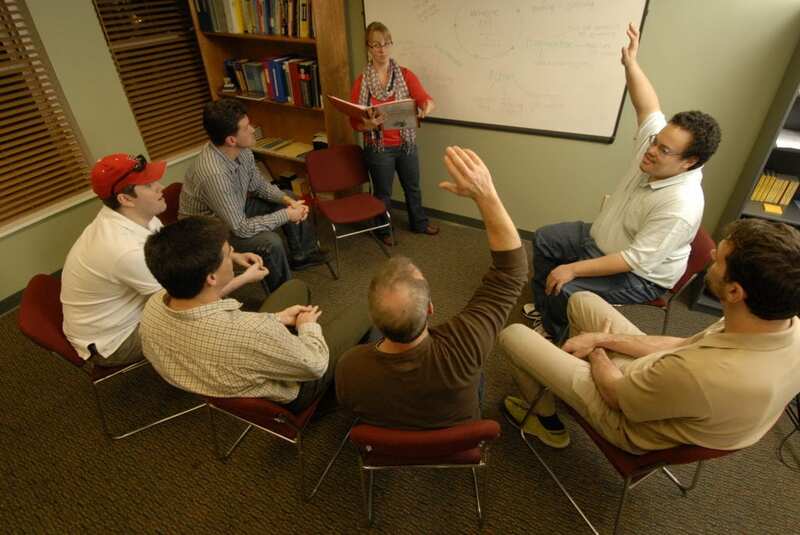 Our family-centered, evidence-based treatment is for adult men experiencing symptoms of a co-occurring mental illness and substance use disorder. 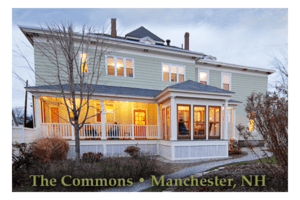 The foundation of our practices were developed by the Center for Evidence-Based Practices at the Dartmouth Psychiatric Research Center and have a proven track record in long-term dual diagnosis treatment. We address each individual’s dual disorders simultaneously in the same setting, by the same clinicians. Rather than contradict each other, our therapies aid in one’s recovery, and are proven to work. Unique to our organization, both family and community are an integral part of treatment. Integrated Dual Disorders Treatment (IDDT) is an evidence-based practice designed specifically for men with co-occurring mental illness and substance use disorders. 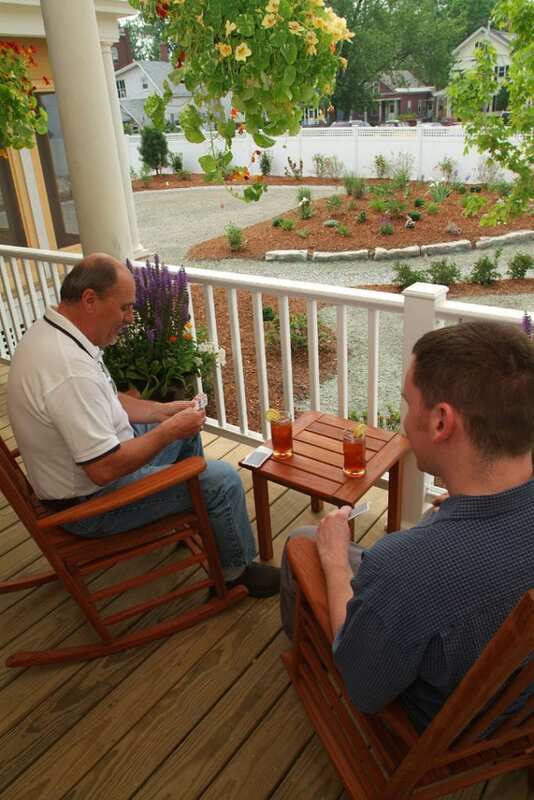 This treatment approach helps men recover by simultaneously offering mental health and addiction services together, in the same setting. 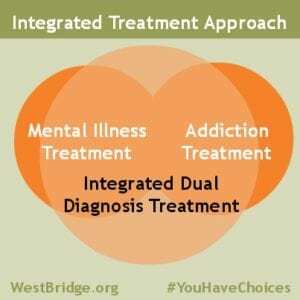 During the course of WestBridge’s integrated treatment program, we provide a personalized plan that addresses the symptoms of both the mental health and substance use diagnoses of each participant. WestBridge offers a wide variety of evidence-based treatment and support services. Based on the participant’s stage of change, the clinical team customizes and adjusts the approaches needed to keep recovery progressing. Each man at WestBridge collaborates with their family and their team in an ongoing treatment planning process to create and maintain a Personal Achievement Agenda, which changes and evolves depending on the stage of recovery that person is experiencing. Our integrated continuum of care allows us to manage co-existing health conditions that are often present in those with substance use issues. This helps improve the health and wellness of those we care for, in addition to their mental health symptoms and addictions. WestBridge utilizes a comprehensive and long-term approach to treatment, which revolves around a core belief in hope and optimism. Services are offered in a positive atmosphere, and all participants are encouraged to believe that they can recover, as many others have at WestBridge. 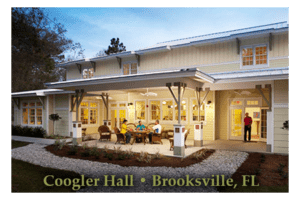 Ultimately, the goal of integrated treatment is to help men and their families learn to manage both their mental illness and substance use problems so that they are able pursue, and have success in achieving, their life goals.